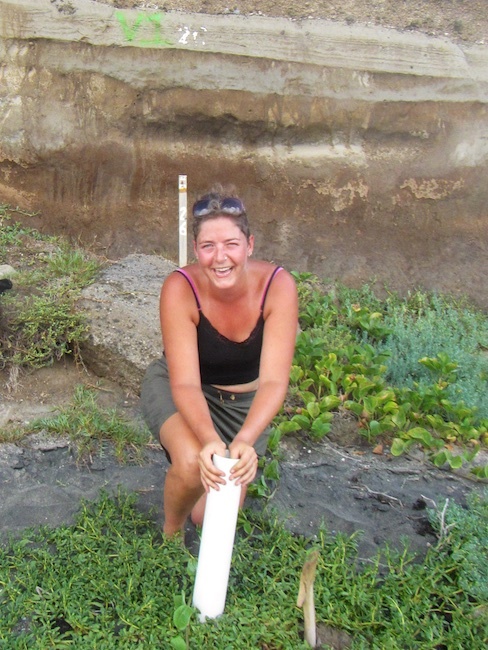 Hello Everyone, Marjolijn has introduced me in her earlier posts; I am Fionne Kiggen and at the moment I am undertaking sea turtle research in St Eustatius for my Masters thesis at Wageningen University. 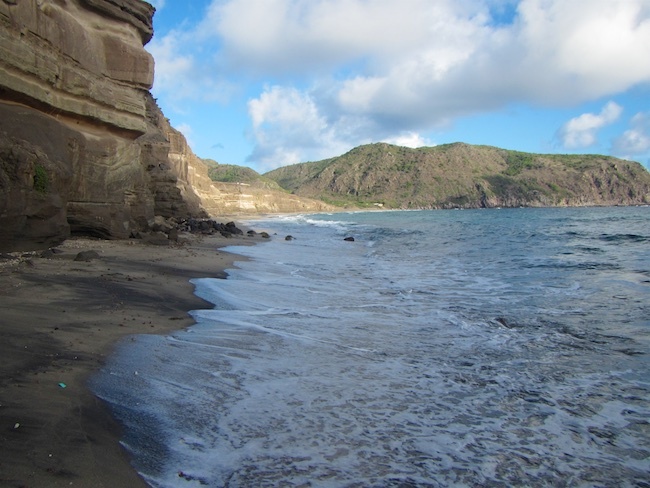 I currently have two experiments running, one on Zeelandia beach on the Windward side of the island, and the second on Smokey Alley on the Leeward side of the island. At both sites I have buried a series of data loggers at 50cm and 63cm depths, in shaded and unshaded sites, to determine the sand temperatures and thus nest temperatures, in the hopes of understanding further the driving factors of nest success. I will relate my findings to similar research undertaken in the Caribbean and beyond. 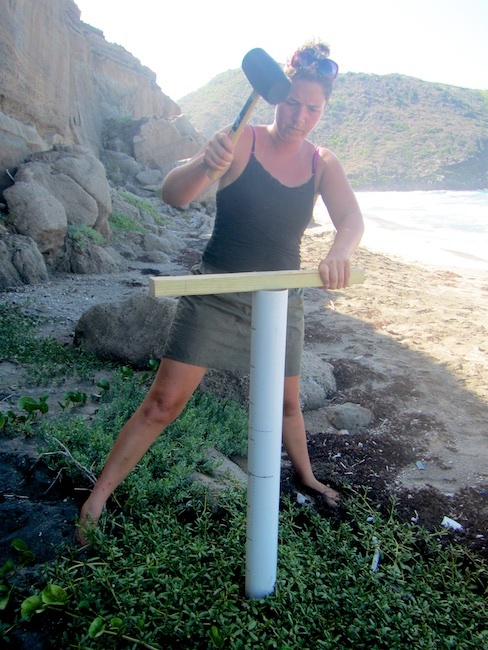 Before I started with my own research on sand temperature, I helped Marjolijn with the in-water work. It was a totally new experience for me and it was my first time to see a sea turtle so close. What beauties, even though they are a bit smelly! I really loved the in-water work and learned a lot. Also I am embedded as a “turtle intern” at STENAPA. Several days a week I go out to monitor turtle nests. During our night patrols we sometimes see nestling females, which I find really exciting. Every time I’m surprised how big they are. When I come back after such a patrol, I can’t sleep! Besides all the turtle work I’m also helping STENAPA with maintenance in the Botanical Garden, Boven National Park and Marine Park. Overall I really like it here in St Eustatius and all the work I do. Zeelandia beach: narrow at and eroding cliffs at some places.